Carpal Tunnel Syndrome (CTS) is a painful, often debilitating, progressive condition that occurs when a nerve in the wrist becomes compressed. Let’s take a closer look at what CTS is and what can be done for it! ONSET: Often, CTS starts with an infrequent, vague sort of numbness or tingling that prompts us to periodically shake our hand and flick our fingers. Most of the time, we initially don’t give this much thought, as it isn’t too irritating. As time passes—and this can sometimes be days, weeks, or months—the intensity, frequency, and duration gradually worsen. Sooner or later, it can get to the point of prompting a visit to a Chiropractor. The rate that CTS progresses is more dependent on the amount of pressure on the median nerve than the length of time the pressure is applied. In other words, CTS can develop immediately if the nerve becomes acutely pinched from things like a wrist fracture or other obvious trauma. In these cases, it is VERY IMPORTANT that the nerve is decompressed promptly to avoid permanent damage. 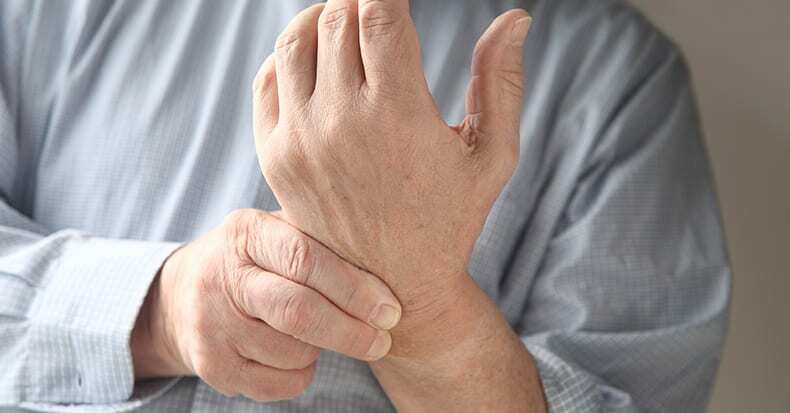 However, a gradual worsening of symptoms over time is far more common, but it is still BEST to come in sooner rather than later since the greater the degree of inflammation or swelling, the longer the recovery time. SYMPTOMS: The symptoms of CTS are quite unique and specific. CTS causes numbness, tingling, and/or pain specifically into the index, middle, and the thumb-side of the ring finger, as this is what the median nerve innervates, but not usually the thumb (unless the nerve is also compressed before the wrist). Numbness in the ring finger and pinky is usually the result of an ulnar nerve pinch, which frequently occurs at the inner elbow where the “funny bone” is located and/or at the shoulder (“thoracic outlet”), and/or the neck (from a pinched lower cervical nerve root). Combinations of these can result in a “double crush” or “multiple crush” injury and treatment must then focus on ALL the places where the nerve compression occurs. This is why you should consider obtaining CTS treatment sooner rather than later, because when you wait and let it go, the tendency is to start making changes in the way you use your arms and hands. This is an unconscious compensatory response that often leads to further problems higher up in the arm and/or in the neck. According to the National Institute of Neurological Disorders and Stroke, CTS is the MOST COMMON of the “entrapment neuropathies” where the body’s peripheral nerves become compressed or pinched. It is estimated that 5% of women and 3% of men have CTS, and studies estimate 3-6% of adults (most commonly between ages 45-64 years) in the general population suffer from CTS. Chiropractic offers a non-drug, non-surgical approach that is highly effective. This should be your FIRST STEP in treatment as surgery can often be avoided!